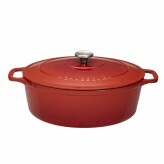 This 3.8 litre Cast Iron casserole is the perfect size for a family or for cooking a casserole or stew for 4 - 6 people. 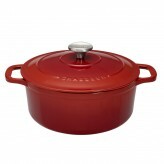 The Chasseur casserole range is made in France from high-quality enamel cast iron and comes with a lifetime guarantee. High quality French enamelled cast iron is the ultimate choice for slow-cooking and the enamel exterior will keep its looks for a lifetime. 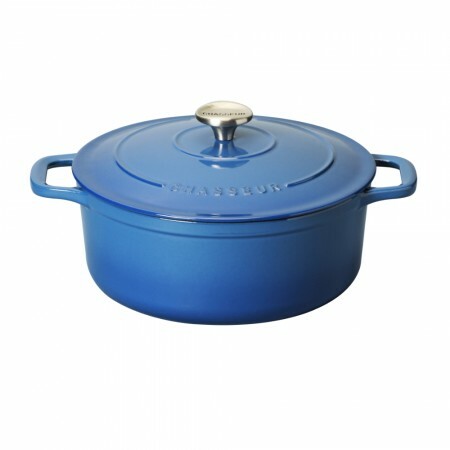 Provence Blue is a new addition to our range and makes a stunning set of cookware that can be collected over time. Each piece of Chasseur is double enamelled for longevity and durability and to make it easy to clean. Cast iron cookware is ideal for taking food straight from the oven to the table because it looks good and because cast iron retains heat and is perfect for offering second or even third helpings. 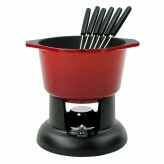 Use it on all types of hobs (even induction and glass thanks to its smooth enamelled base), as well as in the oven. The casserole is designed with ergonomic handles for easier, safer lifting, a long-lasting stainless steel lid knob and an attractive, rounded base so you can reach every part of the base of the casserole when stirring. The lid is deliberately engineered to maintain the moisture in each culinary creation, drip rings collect moisture which falls back onto your casserole as it cooks, keeping it basted and deliciously moist. 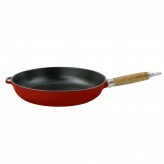 Cast iron, with its even heat distribution and fuel-efficiency, makes cooking easier and more economical. Stunning looks and durability are combined in this compact enamel cast iron casserole pot in a Provence Blue enamel finish.